Lessons from the UK’s oldest privately owned bank, which has been in the same family for more than 300 years. These assets can take many different forms, such as the name of the firm, its reputation, the history of the family and the business, the mission and its unique business philosophy, the values that drive the family in their business dealings, and the rich network of business and political ties developed over multiple generations. A key feature of family firms – and a requirement for their sustainability – is that their contributions are linked to strategy-making. If assets are not present at the operational level, they cannot be efficiently leveraged to create a clear vision for the future. In addition, the unique assets that families deliver can enhance the identity and brand awareness of their firms in the eyes of next generation family members who may be interested in joining the family firm. Non-family employees are also motivated by the spirt of working for a firm that has a strong sense of identity and traditions. However, as these firms develop and grow over time, family assets can be lost on the growing number of family members and stakeholders, especially if no long-term planning of this special type of asset management has been initiated by the founders or developed by second- or third-generation owner-managers. More than anything, owner-managers should engage in a continuous process of re-defining their family assets in order to profitably include them at the level of firm strategy and vision. Identify the critical family assets and how these can be exploited in the current business environment. Understand the extent to which family assets are transferable to the next generation, to outside managers or to new owners. 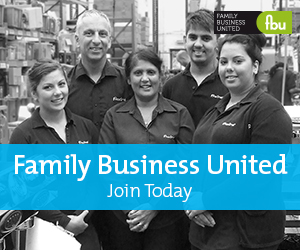 Organise the leadership and management of the firm in such a way that family assets add value to the business strategy. One firm that exemplifies how these variables can work in practice is C. Hoare & Co, the oldest private bank in the United Kingdom (founded in 1672). From the day Sir Richard Hoare opened the unlimited-liability bank, depositors were attracted by the bank’s stability in a climate of uncertainty. Hundreds of similarly family-owned banks managed to survive until the turn of the 20th century, when larger limited-liability banks absorbed most of the smaller, unlimited-liability banks. Currently, eleventh generation Alexander S. Hoare is one of the bank’s eight partners. Alexander said the ambition of the Hoare family has always been to carry on doing what it does best, which is to act like ordinary employees in all areas of the bank, including credit, finance and investment. Hence, Alexander said the family have never had any desire to entertain buyout offers from more powerful companies. At any given point in time, about 12 family members ranging in age from 20 to 80 are employed by the bank, but only a few of them are promoted to the level of the boardroom. At different times family members may act as employees, directors and owners. Usually, however, family members are ordinary members of staff. As the bank has provided services to many of its customers’ families for centuries, the family has never felt the need to advertise for more clients. Nevertheless the bank’s customer base has broadened over time, ranging from owners of landed estates to entrepreneurs and professional individuals, partnerships, owner-managed businesses, family offices and charities. With such a wide variety of customers, C. Hoare & Co. has developed a range of services that has evolved to keep up with changing needs: loans, foreign exchange and treasury services, wealth management, financial planning, investments, tax services and trust administration. Recently, the Hoare family moved towards professionalising the bank’s senior leadership. The current CEO is David Green, a non-family professional, who joined the firm in 2003. The current chairman of C. Hoare & Co is also a non-family professional, Sir Nicholas Macpherson. However, shares in the bank are all owned by the eight partners of the firm who are family members. With approximately 2,000 Hoare cousins in the extended family, the bank does not distribute dividends to all of them. Dividends are only distributed to the eight partners, and the dividend has not changed since 1928. By staying focused, families can optimise and enlarge the long-term value of their assets. Moreover, family control is most valuable when the family assets are strong. About the Authors - Morten Bennedsen is the André and Rosalie Hoffmann Chaired Professor of Family Enterprise at INSEAD and Academic Director of the Wendel International Centre for Family Enterprise. He is a contributing faculty member to the INSEAD Corporate Governance Centre and is co-author of the book The Family Business Map: Assets and Roadblocks in Long-Term Planning (Palgrave Macmillan 2014). This article was first published on the INSEAD website and has been reproduced with theri permission.